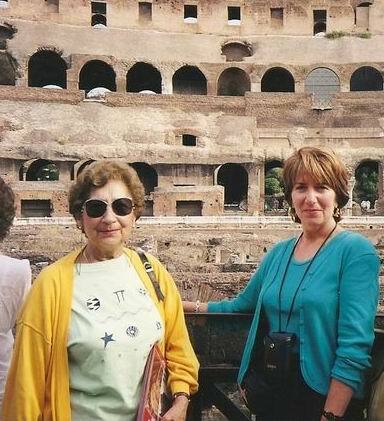 One day back in the summer of 1997 I got a phone call from my Aunt Mary telling me that she was taking my sister Nanci to Italy and she would love it if I would go too. Wow, what an opener that was! A thousand thoughts went through my head as I immediately thought of how much I had always wanted to go to Italy, the birthplace of both my father and my maternal grandparents. However, on the heels of that came the next thought - this was a trip that my husband and I had always talked of since we had retired and had yet to do. We got our feet wet first by going to the British Isles where we figured we'd get along better speaking the same language. I told her that I'd have to think about it and I'd get back to her. When I got off the phone my husband immediately said "you are going aren't you? Why miss this opportunity because you never know if we will get there". I was torn between wanting to go, but not wanting to go without Craig. But he convinced me, and within a few minutes I called her back and told her that I'd love to go. 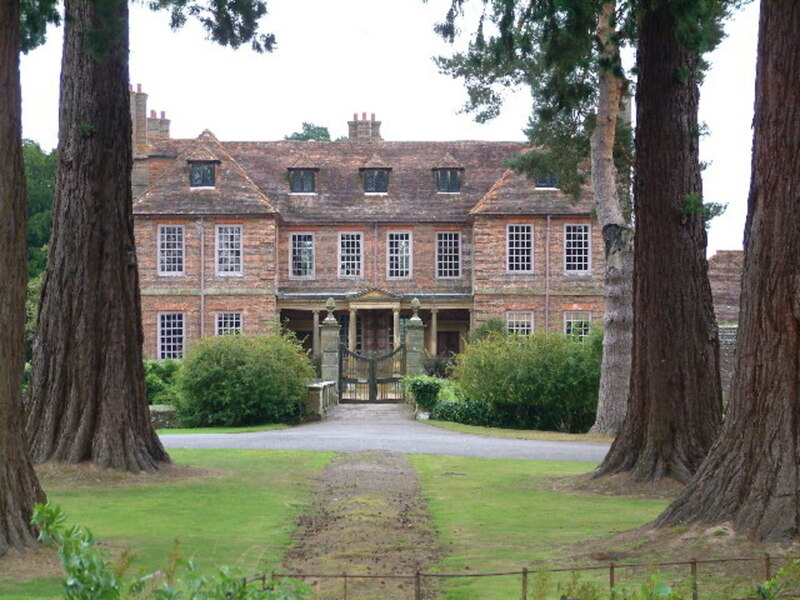 Arrangements were made with the travel agent and we were set to go that coming September. I have to admit that flying has never been my favourite pastime, but I do recognize that if I want to travel, then I will just have to grit my teeth and go with it. This was my second trans-Atlantic flight, so I knew what to expect. Nevertheless once on board I settled in for the night recognizing that if I got one hour's shuteye, I'd be lucky. I just can't seem to sleep on the plane. Thankfully our flight to Rome was smooth and uneventful, and once we gathered our luggage and had gone through customs, in no time we were seated on a bus waiting to go to our first night's hotel. When we arrived at the hotel our aunt announced to us that we were not wasting any time, we were to drop our luggage in our rooms, freshen up and then hit the road in a taxi headed for downtown Rome. At the age of 78 no grass was going to grow under her feet, nor ours so it seemed. We would be back in time to take in the Welcome Dinner that night, but in the meantime we had things to do and sights to see. So began one of the best travel experiences of my life. I could hardly believe that here we were, my sister and I, in the country of our father's birth and I was very excited to say the least. 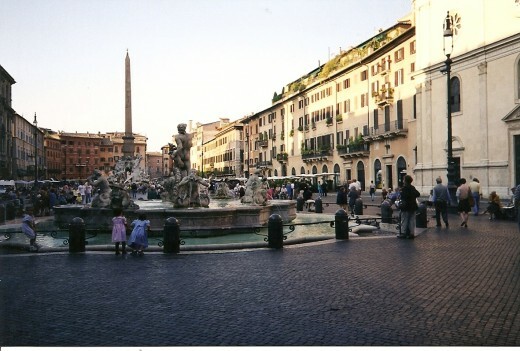 Aunt Mary chose Piazza Navona for our place to visit that afternoon. This was a place where we could sit down and have a coffee or a glass of wine and watch the crowds in one of the most beautiful squares I had ever seen. Piazza Navona was built on the old ruins of the Stadium of Domitian. This stadium in its day held 30,000 spectators, and it was built for athletic games in the Greek tradition. It is therefore in the shape of a track and is now surrounded by buildings with fantastic architectural detail by Bernini and Borromini. In the Piazza are three fountains, the most impressiive being the Fountain of Four Rivers situated right in the centre of the square. All around the perimeter are cafes and al fresco dining places, truly a great place to people watch. When we realized we had to head back to our hotel to get ready for the evening we wandered back out to the street. Just outside one of the entrances to the Piazza was an opening in the outside facade where you can actually see the underpinnings of the ancient stadium. This was just a teaser of what was yet to come, and I think both Nanci and I were spellbound. I know for sure we forgot about being tired and the fact that we had flown all night without sleep. Forget sleep, we were only here for nine days; we could sleep all we wanted when we got home. It wouldn't be Rome unless an Italian man flirted with you! Outside on the street once again my aunt hailed a cab and we started back to the hotel. I don't know how I ended up in the front seat with the driver, but Nanci and my aunt climbed in back. Of course Aunt Mary gave the driver the name of our hotel, he headed off and they started having somewhat of a conversation, he with his proper Roman Italian, and she with the dialect of her parents' home town - but they managed. Along the way I noticed that he was being very congenial, slowing down on bridges etc to show us the best sights he could, being somewhat of a tour guide. Of course he was looking for a big tip. But along with that I was starting to feel a little uncomfortable with the glances he was throwing my way. As my aunt and he chatted back and forth trying to understand each other, I picked up the phrase "questo qui" coming from him and looking my way, and something about "sposo" Now I do not speak Italian but of course growing up in an Italian family I knew enough words to know where he was going so I quickly held up my left hand showing him my wedding ring. But wait, my finger was bare - thanks to my aunt who had advised me to leave all of my good jewellry back home in Canada. Still he got the message. This in and of itself did not deter him from offering to take us on "special tours" which my aunt graciously declined. Well good grief! I would have to admit that of course I would have been just a tad disappointed if I had traveled all the way to Italy and not one Italian man had tried to make a pass at me! Back at our hotel, and before getting ready to take in the Welcome dinner I made a long distance call to Craig. I had seen nothing yet, but I had seen Piazza Navona and I couldn't wait to tell him all about it and I said "we are coming back here next year!" With only half a day in Rome done I already knew I would return with my husband; I was hooked. The first official day of our tour started bright and early at 7Am the next day with a wake up call from the hotel's desk. We had met the rest of our traveling companions the night before at a wonderful welcome dinner at a restaurant called Minos in Rome. There we were feted with a delicious 5 course Italian meal while we drank wine and listened to minstrels play tunes and sing. This started all of us off in a partying mood very nicely. Two nights in a row now with not much sleep, and we had a full day ahead of us, but we were more than game to get going. The tour we were on was a Globus bus tour and we had been told the evening before that in the coming days there were to be pretty rigid rules with regards to being at the bus on time in the morning. After all there was a lot to pack in to a days tour in Rome, and we didn't want to miss a thing. So after a quick bite of breakfast we boarded the bus to start our tour. And what fantastic sights we saw. Winding our way along the city roads, the driver was sure to take us by such landmarks as the Monument to Italy's King - Vittore Emanuele and a building in the square leading up to this monument where Mussolini gave his speeches from a balcony. We drove by Castel Sant'Angelo (Hadrians Tomb) - but of course I could brag that we had already had a sneak preview of that one compliments of our very congenial cab driver of the day before. We made a stop at Circus Maximus and all of us gazed out the window transfixed by what the tour guide was telling us, mentally seeing chariots racing around the field, with the Palace of the Caesars rising behind. All of this of course was just a prelude to where we were ultimately headed - the Colosseum and the ancient city of Rome. One couldn't even begin to explain the feeling on seeing the Colosseum for the first time. To think of the history behind this and what took place there is just mind boggling. When you see what is remaining of the arches from the outside and imagine the statuary that was housed in each of these arches - to even think of a cover made by sailors that many years ago for this huge amphitheatre - one can't help but feel grateful that all of this was preserved - no matter how horrible the events that took place there were. Once inside I just wanted to wander around in silence and try to imagine what it would have been like all those years ago to sit in the stands and witness the gladiators in combat below. The three of us I am sure were lost in our own thoughts and imaginings. Outside once again we trudged through the ruins of the ancient city past the Arch of Titus and the Roman Forum. We were quickly coming to the end of this part of the tour and after stopping for lunch our next stop would be Vatican City, St Peter's Cathedral, the Vatican Museum and finally the ultimate - the Sistine Chapel. I'll just take a moment here to talk about taking a holiday via a guided bus tour. There are many conflicting opinions about doing such a tour on this type of holiday. Some cringe at the idea of being herded around like a bunch of sheep, following a tour guide around, and having limits on how long you can stay at a site before meeting your fellow travelers only to get on the dreaded bus once again to head for the next stop. Truthfully I had these thoughts myself, but our Aunt Mary had assured us that it would be the best way to go and that along with the annoying parts of it, there were many bonuses. For sure one would not want to rent a car and drive around Rome. For that matter you take your life in your hands just trying to walk across the road. Our tour guide told us that when we wanted to cross an intersection you just do as the Romans do - step into the road - put your hand out -and the car stops. There's the catchword - car - NOT cars. After watching the traffic whiz by for a few minutes on one of our solo outings, we three stepped out into the road with arms extended and miraculously the car nearest us stopped. Somehow Nanci made it straight through to the other side and stood there laughing while my aunt and I, arm in arm performed what looked like some kind of crazy dance, skirting between speeding cards in the adjoining lanes, with what I am sure was a look of absolute terror on our faces. Staying on the bus certainly had a fair amount of appeal in the face of all the chaos around us. But I digress a bit on this litte part of the story. This is the scoop! You could end up with some people on your tour who you just absolutely cannot tolerate. Someone else does the driving, and maybe now you can catch up on a little bit of that sleep you have been missing, while you travel in between towns. All ticketing and admissions are prearranged for you by the tour company. There is no waiting in line, bus tours get the advantage of being pushed through. 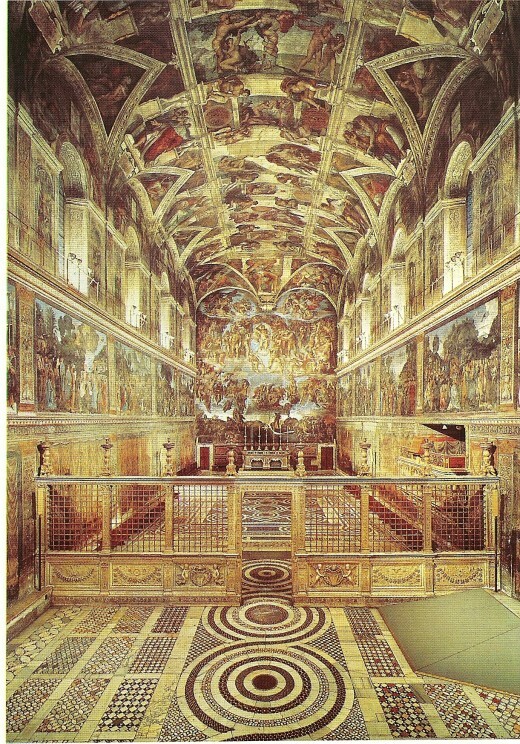 I know a gal who had been to Rome 3 times before ever seeing the Sistine Chapel because the lines were just to long. No getting lost for you; the bus tour knows exactly where it is going and the best ways to go. You get to meet some very interesting people, hopefully the opposite of point number 6 in the cons list. Postcard that I sent home to Craig. After lunch the bus headed for Vatican City where we would tour St. Peter's Basilica, the Vatican Museum and the Sistine Chapel. Starting off with St. Peter's I know I spent quite a bit of time standing and staring at Michelangelo's Pieta, the body of Jesus on the lap of Mary. There is so much to see in this Cathedral that you would need hours and days to see it all. The massive size alone of the church and the blend of marble and gilding amongst it architectural details is truly awe inspiring. I can think of no other words to express my reaction to be in this famed Cathedral. From here we toured the Vatican Museum with all of the beautiful tapestries, gilded and frescoed ceilings leading our way to the Sistine Chapel. There is nothing that one can say about the Sistine Chapel that could properly describe the feeling you get upon entering this room. You know automatically that there must be silence. Silence is needed in order for the mind to try to take in what the eye is seeing. Silence is needed to show reverence and respect for the absolute astounding work of art that Michelangelo left for the world to see. There is so much to see - that it is impossible to see it all. I stood there with my neck craned backwards trying with all my might to take in as much as I could, and to just feel the peaceful energy that surrounded me. No photos allowed here, so one has to try to commit it to memory. But thank goodness the purchase of a few postcards will do the trick. One is attached here. And when I pulled it out of my albumn, I turned it over to see that it is one that I sent home to Craig; and so it has even more significance for me. One can see that for today this was a "special find". Last night, our second night in Rome the tour had what they call an "extra activity". This means in other words that it is not included in the cost of your tour. There would be no dinner at the hotel and instead the tour would be taking in Tivoli Gardens with a dinner there afterwards, at extra cost to you. Auntie Mary had already looked at the schedule beforehand and had announced to my sister and I that we would not be doing that. NO? No, we would want to go back to downtown Rome by ourselves and have a nice little dinner on our own. With no experience ourselves, and our Auntie Mary having visited Italy and Rome itself many times we decided that it was best to follow her suggestion, and I am glad that we did. We arranged for a cab and once again headed back to downtown Rome. Our goal with Auntie Mary leading was to head for the Trevi Fountain. Round and round little alleyways we went, with me wondering if she really knew what she was doing and then all of a sudden there it was. Immediately a scene from the movie "Three Coins In A Fountain" danced through my head and one of my first throughts following was that the area was not as big as it looked in the movies. The square surrounding is actually quite small and tight, but never mind, the fountain itself is of course both impressive and beautiful. We would not be throwing our coins in this night, that would be for our last night in Rome - at the end of our journey, so we just sat and looked for a while. Afterwards we made our way back to Piazza Navona, finding a nice little cafe just off the square in which to have our dinner. We all ordered a salad and then our pasta . Neither my aunt or my sister are very big wine drinkers, but Nanci immediately offered to share a half litre of red wine with me and it was the perfect topoff to an evening in Rome. I was only left wishing that Craig was with us, but already I was saying silently to myself "next year". Piazza Navona by night is very different than during the daytime. I guess its the lighting and the beautiful architecture surrounding, but it all seems so magical and I would strongly suggest that if you ever take a bus tour, not just to Italy but to any location, take advantage of those free nights; go out on your own and experience the people and the culture. You will have enough time to spend with your fellow travelers. 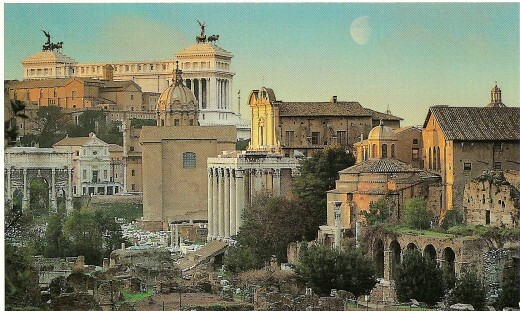 For that little while the three of us could feel like we were indeed a part of Rome. ....what a fabulous hub travelogue - you are the consummate tour guide and intrepid traveler and seeker of beauty - this hub presentation is truly a labor of love in every way and because you are such a world class writer you could make a trip down to the corner store to get milk and bread sound like the ultimate journey of a lifetime - so much fun was this hub and your very own personal style of writing comes through shining with every word that you write - thanks for taking us with you ...... and sending you warm wishes and good energy from lake erie time ontario canada 9:54am with fall like temperatures from now on - I have never seen so many stars in the sky as I did last night - that means cool clear atmosphere and goodbye to the lazy hazy days of summer - the rest of the world doesen't get us Canadians but most of us live for summer ........and we are sad to see it go - let's hope for another nice fall and a milder winter again.